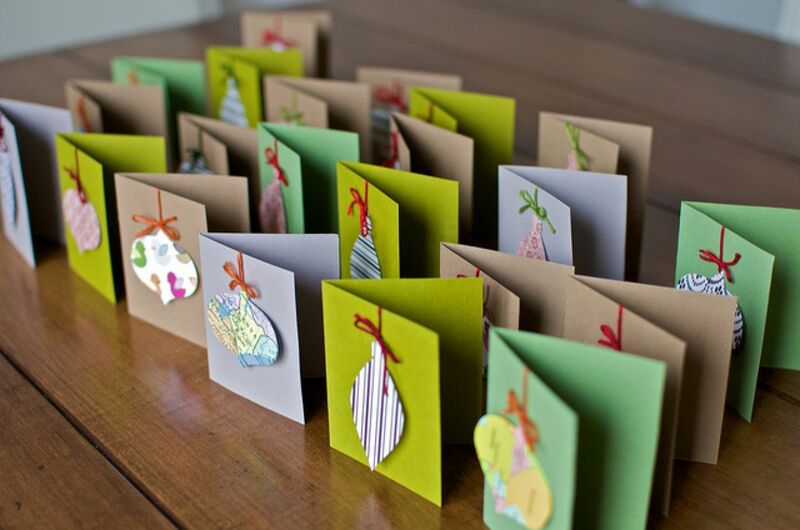 Christmas cards handmade by children are really special, grandparents and family will love to place their work in pride of place on the mantelpiece. They don't need to be perfect, the naivety of the card is half of the charm. Making cards with children is also a fun way to entertain them. For older kids you can work with them on creating a design that they can replicate - for little ones, you really just need to go with the flow, perhaps suggesting a few ideas from those we've listed below and letting them pick their favourite Christmas cards to make. We hope you like all these fab ideas! If you have cards you kids have made for this year or pics from last year, do share them with us on Facebook or Twitter. 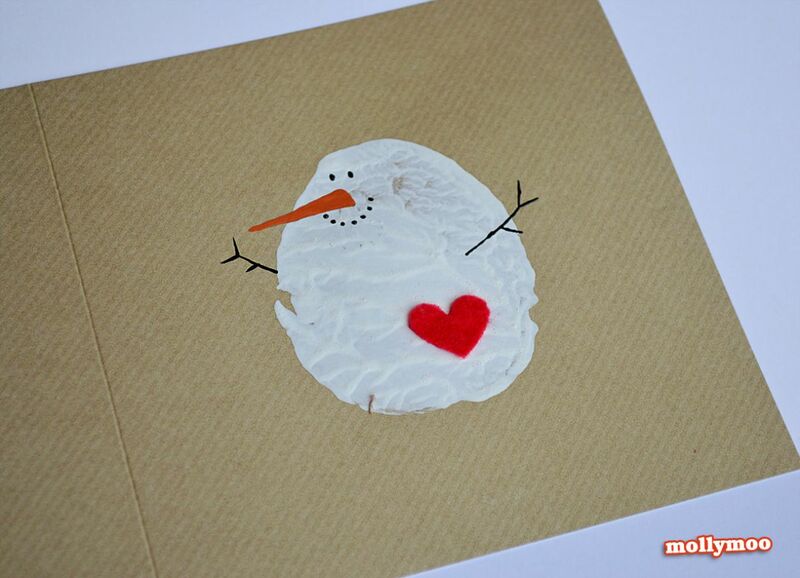 This Christmas card idea looks fantastic and it's so easy for kids to make themselves! Just take some plain card, a little decorative paper or wrapping paper and create baubles by cutting circles or more decorative bauble shapes and add a little string - we found this photo of a lovely selection of cards by Matt Pearson on Flickr You may need to mount the bauble on card to give it some weight and glue in the bauble string. 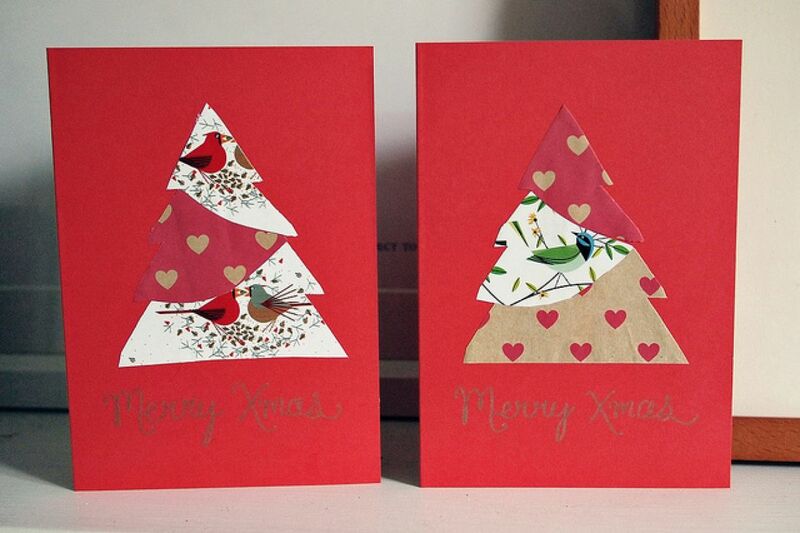 There are lots of great ideas on this blog post for DIY Christmas Cards from What Katie Does - it's such a simple idea and yet so effective, lovely Christmas red card and simple triangles of paper to make a Christmas tree! You could write the sentiment neatly or why not get your kids to if they can as it will make the card extra cute! 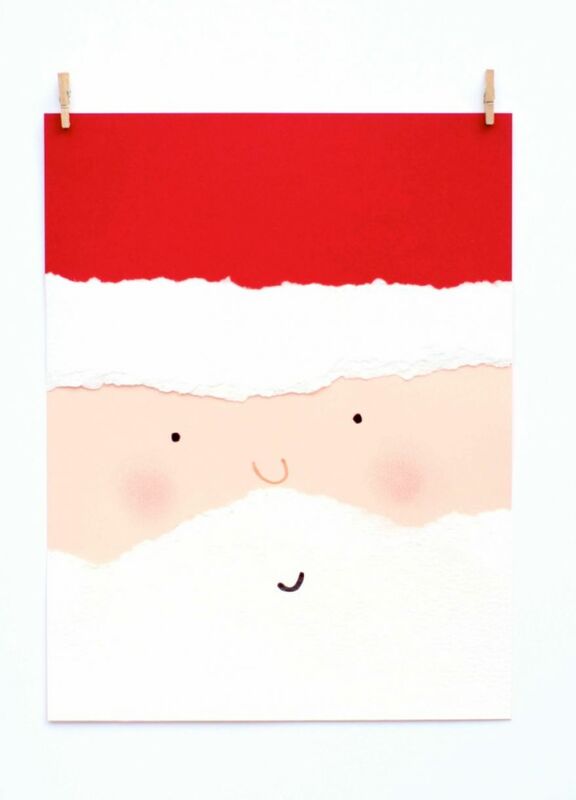 Isn't it amazing how iconic Father Christmas is that his face appears out of a few tears of coloured paper! We recommend you click through to Katie's Creative Space blog to see the matching gift tags she's made too. 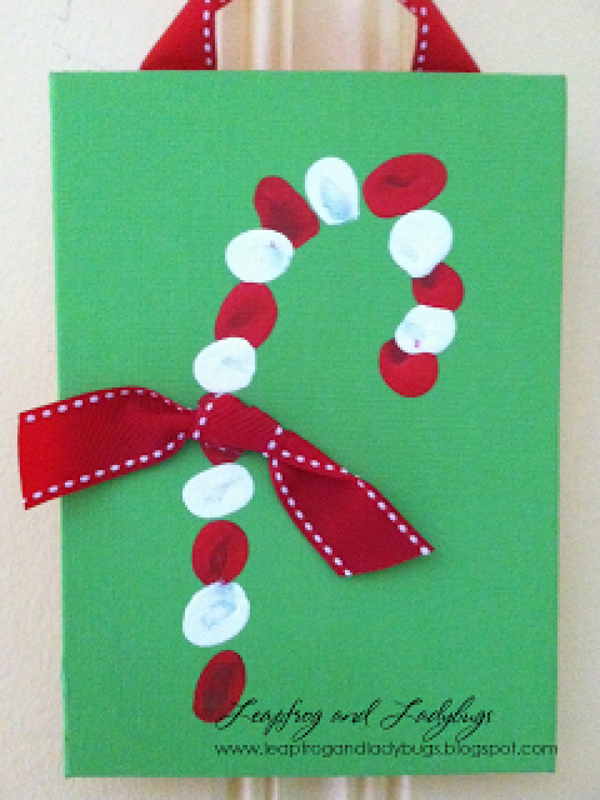 We love the idea of using fingeprints to make a candy cane - it could get messy but that's half the fun with Christmas crafting and letting the kids get involved! 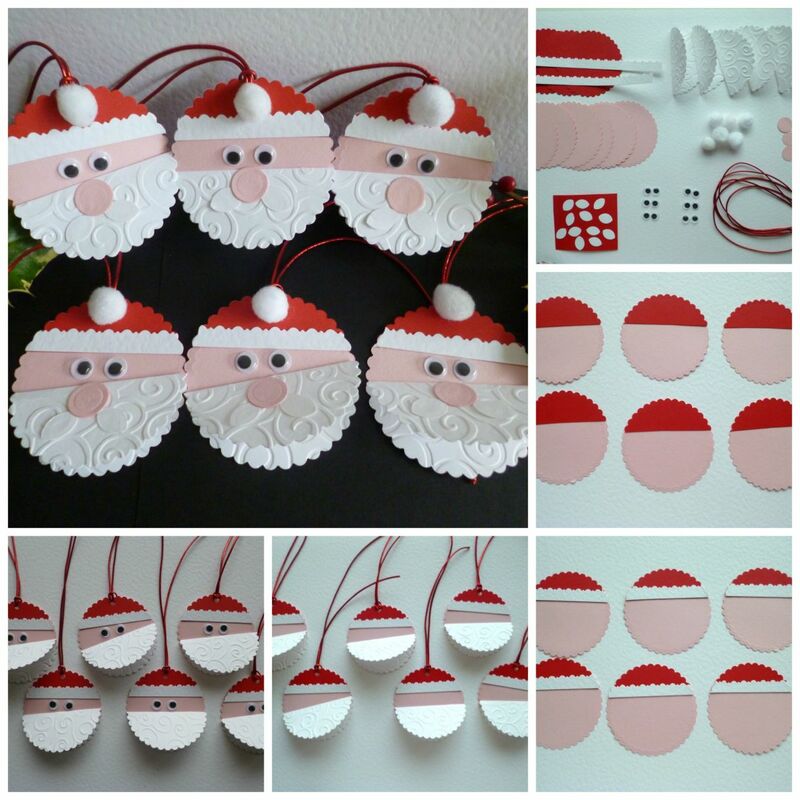 Barbara one of our fabulous designers created this fun tutorial for Father Christmas Face gift tags, just make these a little larger and they would be perfect little cards for children to make.